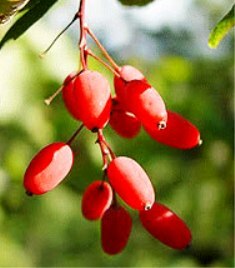 European barberry is an edible fruit bearing shrub widely growing in sparse forests in Europe, Northwest Africa and western Asia. Though botanists are not unanimous about its origin, but seem to originated in central or southern Europe. However, now it has naturalised in northern Europe, including the British Isles and Scandinavia. It also grows in North America. A deciduous shrub growing up to 4 m high. Leaves small, oval, 2-5 cm long and 1-2 cm broad, with a serrated margin; tborne in clusters of 2-5 together, subtended by a three-branched spine 3-8 mm long. 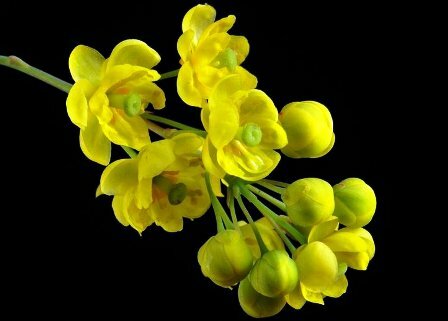 Flowers yellow, 4-6 mm across, borne on 3-6 cm long panicles in late spring, have a characteristic smell which is not very pleasant. 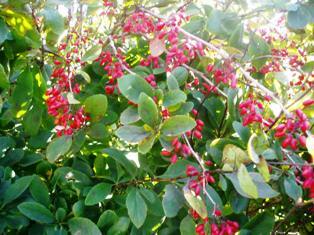 Fruit is an oblong red berry, 7-10 mm long and 3-5 mm broad, ripening in late summer or autumn; edible, sour in taste. and rich in Vitamin C.
Though the fruits taste sour but these are eaten by people. The fruits have a high content of vitamin C. However, it is difficult to pick them because of the presence of sharp spines. 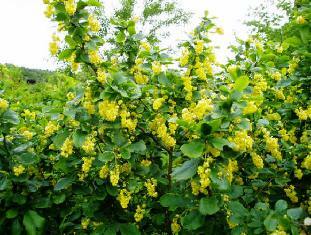 The fruits were earlier used as a substitute for lemon and also as colour, particularly in Scandinavia. In Iran, the fruits are dried and the dried fruits are called zereshk. These are widely used in cooking, imparting a tart flavor to chicken dishes. It is usually cooked with rice, called zereshk polo, and provides a nice meal with chicken. Zereshk jam, zereshk juice, and zereshk fruit rolls are also produced in Iran. A popular Russian candy called “Barberis” is made from the extract of this fruit. 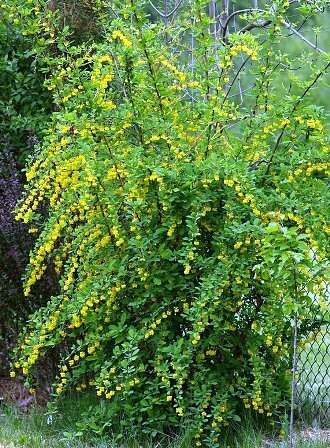 European barberry is widely cultivated in Iran, particularly in south Khorasaan. A garden of zereshk there is called zereshk-estan. New plants are mostly raised from seed. Propagation from hardwood cuttings is also possible.